10 YEARS STRAIGHT. It’s official!! 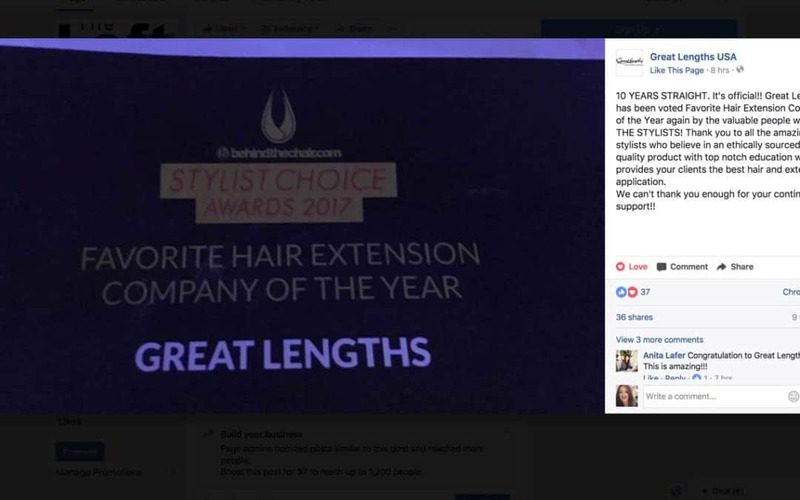 Great Lengths has been voted Favorite Hair Extension Company of the Year again by the valuable people we serve; THE STYLISTS! Thank you to all the amazing stylists who believe in an ethically sourced, high quality product with top notch education which provides your clients the best hair and extension application. I could not be happier for the company and more proud! I have been providing Great lengths since 2006, and feel by far that it is the best quality of hair out there. My bias stems from being certified by other companies and working with various types of hair, and at the end of the day….Great Lengths hair extension are my favorite!